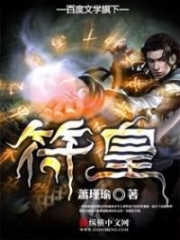 Read novel online » God Of Slaughter » Chapter 998: The Third Sky Of Original God Realm! God Of Slaughter Chapter 998: The Third Sky Of Original God Realm! Shi Yan's acupuncture points in his body sparkled like diamonds. Bright beams of light were emitted dazzlingly. His aura was sharp like a sword while he was sitting cross-legged. Fei Lan, Leona, and Ka Tuo surrounded him in a triangle formation. They looked at him, yearning. Time flew quickly. Energy fluctuations on Shi Yan's body surged fiercely. Pure energy overflowed from his acupuncture points, seeping towards his bones and Essence Qi Ancient Tree. His energy surged unceasingly, making his aura more intimidating. After a while, Shi Yan's aura gradually calmed down. The light from his acupuncture points dimmed and vanished. Sitting quietly for a while, he opened his eyes, chuckling. "You guys don't have a chance to gather more energy this time." Fei Lan and the other two were bewildered and then nodded silently. Shi Yan got up, stretching his body. Joints in his body moved, producing clear and pleasant sounds like pearls colliding. "Third Sky of Original G.o.d Realm." Shi Yan smiled. This time, his breakthrough was as smooth as a stream joining the river. His Essence Qi Ancient Tree grew and his Sea of Consciousness extended. Everything went smooth and logically. He reached the new realm easily, which was the magical result of achieving the realm earlier. However, the deaths of one hundred warriors of Drifting Cloud were just enough for Shi Yan to break through to Third Sky of Original G.o.d Realm. He didn't refine extra energy to send to Fei Lan and the other two. Most of the dead warriors were at King G.o.d Realm and some of them were at Original G.o.d Realm. Since their realms weren't high, the energy refined was limited. He got just enough to reach the new level. "Senior, it's good that you can breakthrough. We aren't hurried. When we get to Shadow Ghostly Prison, we will have a lot of chances," Ka Tuo forced a smile. Fei Lan and Leona nodded. Shi Yan smiled and didn't say more. He got out of the cultivating room, telling the guard standing by his door that he wanted to meet Fu Wei. The guard led his way. Shortly after, Shi Yan arrived in Fu Wei's private room. The blue arch ceiling of this room was filled with pieces of gemstones, which was a resemblance to the starry sky. It illuminated the room with tender light, giving it an elegant and warm atmosphere. Zuo Shi closed her eyes, her hands holding a lot of divine crystals. She was absorbing the energy of the divine crystals and the medical efficacy of the marvelous pellets she had eaten. Her face was calm like the water as her G.o.d Domain appeared automatically. Water waves rippled around her like the deep sea. The Black Tortoise was the holy beast of Water Element. As Zuo Shi got the inheritance from its bloodline, she knew Water power Upanishad. Her G.o.d Domain looked like a vast, torrential sea. It appeared quietly like the nature of water. Her aura was also immense and tender, making people relax. Zuo Shi was cultivating in silence. Fu Wei was wearing a long blue dress, which exposed her white shoulder. She was drinking and watching Zuo Shi with glistening eyes. She couldn't hide her surprise, indeed. She had given Zuo Shi a lot of precious pellets and let her cultivate here. After the girl had swallowed the pellets, their medicinal efficacy quickly expanded. Instantaneously, Zuo Shi's realm started to change subtly. Under the Fu Wei's gaze, Zuo Shi began to comprehend Water power Upanishad in a more profound level. She was breaking through to the new realm very fast. Fu Wei was surprised a lot. She observed carefully. She found that Zuo Shi's realm was increasing steadily. The pellets she had taken were refining her body, merging with her flesh and bones. Zuo Shi's bloodline seemed to have the essence of Water. It gave her a marvelous feeling, allowing her to increase her realm unlimitedly. This discovery shocked Fu Wei. Her face became complex. "Oh, you arrived," Fu Wei pulled herself together, smiling gently. She waved her hand at him, asking him to come closer. She muttered, "This little girl is a prodigy. She seems to not encounter any bottleneck. She... is about to break through shortly. She has almost reached Third Sky of King G.o.d Realm. I don't know how she could comprehend her realm so easily like it's just a piece of cake to her. I have never seen anybody increase the realm that fast." Shi Yan focused on Zuo Shi and nodded inwardly. He explained instinctively, "She's the unique prodigy." When they were still in the Sky Meteor City, Zuo Shi had already been famous for her gifted talents. This lazy little girl hadn't put an effort in her cultivation, but she still reached high realm. Chi Xiao had accepted her as an apprentice to nurture her talents. This little girl could comprehend her realm stunningly fast. A little bit of her effort could be as much as a long time of cultivation to other people. Once she became serious in her cultivation, her progress could be extremely fast. When Zuo Shi encountered Xuan Ming, the old man knew Zuo Shi had the bloodline of the Holy Beast Black Tortoise. With her unique talent, her future would be unlimited if she focused on her cultivation. In Agate Star Area, she had reached Second Sky of King G.o.d Realm under a difficult cultivating condition, which showed how tremendously she was gifted. With Fu Wei's pellets, she was boosted. Her performance could shock even Fu Wei who had seen a lot of things. It was enough to prove that Zuo Shi was unquestionably a genius that this world had never seen. "Well, this little girl told me many things about you." Fu Wei's eyes were twinkling. She smiled. "I didn't know you were so famous in Grace Mainland. On that almost abandoned life star, you reached Peak of True G.o.d Realm in dozens of years. How did you do that?" What Zuo Shi had told Fu Wei about Shi Yan had surprised her a lot. If she didn't know that Zuo Shi was naive, she would have thought that the girl was telling lies. Within dozens of years in a nearly-exhausted life star, a warrior had reached Peak of True G.o.d Realm from nothing. In Fu Wei's point of view, such a man was a monster, indeed. Fu Wei suddenly recognized that it wasn't his good fortune that Shi Yan got the approval from the Leaders of Monster Clan and Demon Clan. He had something she didn't know yet. "I heard you're amorous." Fu Wei smiled, talking softly. Light rippled from her eyes. "Nah, don't listen to her." Shi Yan rubbed his nose, feeling a little embarra.s.sed. He suddenly remembered the woman in the far-away Shadow Ghostly Prison. After so many years, he didn't know how she was doing. He also expected an encounter. Among so many young beauties, she was the first one who had touched his heart. In that martial yard in the Sky Meteor City where time was paused, he had a deep imprint, which stayed forever in his heart. After dozens of years, he didn't know if she was still like she used to be. A dark place shielded by the stars, Agate Star Area. Six life stars formed a hexagonal formation. However, those six stars weren't still. They moved like six gigantic beasts, slowly heading in a general direction. One of those life stars had hundreds of herbal fields where dozens of thousands of types of herbs grew. The thick, sweet fragrance of the herbs furled around the place. Mist and steam gathered here year round and never dispersed. Ten ma.s.sive cauldrons used to refine pellets stood amid the fields. Those cauldrons were made of different, strange metallic materials. The smoke from those cauldrons was so aromatic that they could even seep into people's internal organs. Taking a deep breath here, the warriors would feel refreshed and comfortable. A lanky Ghost Mark old man had exquisite drawings and patterns on his arms and face. He wore luxurious clothes and was standing by the cauldrons. Behind him were more than ten warriors at Third Sky of Ethereal G.o.d Realm. They seemed to be the retinue of that Ghost Mark oldie who was checking the cauldrons. The old man walked between the cauldrons. Sometimes he nodded, smiling as if he was satisfied. Suddenly, a shadow descended from the sky, kneeling and talking respectfully. "Great Elder." Zuo Lou frowned. He had an aquiline nose, the thin lips of a heartless man, and deep eyes. He looked malignant and cunning in general. He waved his hand to let the other stand up, speaking in a gloomy voice. "Got anything?" "They... They seemed to have found the Canon!" The messenger was also a Ghost Mark warrior at Third Sky of Ethereal G.o.d Realm who had a little hoa.r.s.e voice. The Great Elder of the Potion and Tool Pavilion Zuo Lou's eyes brightened up. He laughed evilly. "Good!" Pausing for a while, he took a deep breath and spoke excitedly. "a.s.sign our men. We must blockade and seize the Canon at any cost! About Little Fu Wei... I don't want to see her again." "Yes, Sir!" The messenger drew his mouth into a fiendishly malicious curve and nodded. "Clear everything. Do not leave any trace that would allow others to track us," advised Zuo Lou. "I understand." The warrior replied and then flew up to the sky. Shortly after, he disappeared. Many orders were delivered in Potion and Tool Pavilion. They had contacted powerful forces that had a good relationship with them. Many forces in Agate Star Area had sent their battleships discreetly. "The Canon appears. Muahahaha. Except for me, no one eligible is to have it!" Zuo Lou clasped his hands, looking at the sky and speaking arrogantly. The control center of the ma.s.sive battleship. While Fu Wei was talking to Shi Yan, her countenance changed. She rose a bright mirror over her head and then nodded to Shi Yan. "Give me a private moment, please." Shi Yan left the room, his face indifferent. Fu Wei walked to a secret room behind her chamber. The bright mirror followed her like a ghost. After closing the door, Fu Wei took a deep breath and released an electric beam from her palm. The mirror projected Zha Duo's image, the warrior with s.p.a.ce power of Potion and Tool Pavilion. He looked pale as he was shouting. "Our information is disclosed. Zuo Lou knows you have the Canon. He's going to Shadow Ghostly Prison now. You have to be cautious. Try to protect yourself at any cost. I'm departing. We'll use the s.p.a.ce Teleport Formation to reach you. Before I arrive, you must hold onto the Canon. Do not let them seize it!" Fu Wei grimaced. Her blue eyes' color faded. She screamed in fright. "How did it happen?" "Zha Lou has eyes and ears everywhere. His inside men scatter to every corner. He also controls the Satellite Eye. It's not strange that he got the news." Zha Duo sighed reluctantly. "Great Elder has been in the Pavilion for so many years. The forces they control aren't something we can rival. I knew that the information would be disclosed soon. You must be careful. Zuo Lou will do anything to get the Canon. I'm not sure if you can beat him." "I'm going to Shadow Ghostly Prison faster!" said Fu Wei solemnly. "Yeah, enter the Shadow Ghostly Prison at your maximum speed. If you see a battleship on the way, avoid it as much as you can." Zha Duo advised her carefully. "Do not cause any trouble. Do not conflict with any force. Once you find that some force is after you, use all your force to slaughter them if you can't dodge. Do not show mercy!" "I know what to do," Fu Wei nodded earnestly. "Try your best to resist. We'll arrive soon. But before we arrive, you have to protect yourself!" God Of Slaughter Chapter 999: Crisis – Opportunity! You're Read God Of Slaughter Chapter 998: The Third Sky Of Original God Realm! online at NovelOnlineFull.com. You can use the follow function to bookmark your favorite novel ( Only for registered users ). If you find any errors ( can't read,broken links, can't load photos, etc.. ), Please let us know so we can fix it as soon as possible. And when you start a conversation or debate about a certain topic with other people, please do not offend them just because you don't like their opinions. You're reading God Of Slaughter. This manga has been translated by Updating. Author(s): Ni Cang Tian,逆蒼天. Already has 1225 views. Current Time is 23-Apr-2019 10:18:43 AM.